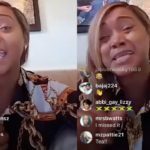 On last week’s episode of Married to Medicine, Mariah Huq dropped a bombshell accusation against Dr. Heavenly’s husband, Dr. Damon Kimes, also affectionately known as “Daddy”. 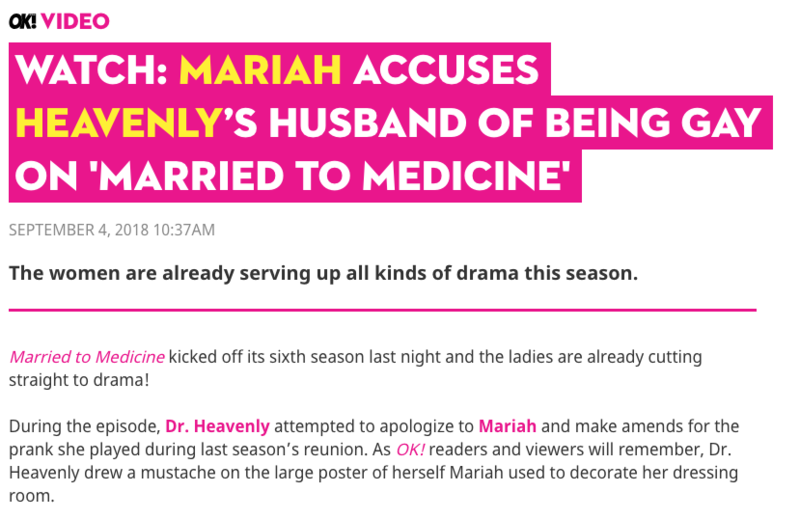 When Dr. Heavenly accused Mariah’s husband of having small genitalia – which is was SO beneath the belt, btw. That was SO trashy! Mariah turned around, sashayed back in the room, and offered to bring the receipts of Dr. Damon cheating on Dr. Heavenly. Mariah made the statement “I can tell you what you’re husband really likes.” And some big publications, like OK! Magazine, are assuming that that was Mariah’s way of insinuating that Dr. Damon was/is on the DL. But from my research, that’s not what she was insinuating at all. From what I’ve found, it’s been rumored in certain Atlanta circles that Dr. Damon has allegedly cheated on Dr. Heavenly with at least one of his female nurses. 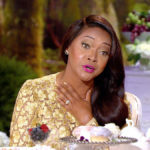 When Mariah said “I can tell you what your husband really likes” it was a reference to Dr. Heavenly’s husband really liking his nurse, not Heavenly. But we’ll see if Mariah reveals the receipts she has. 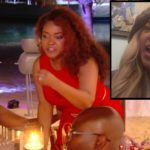 Personally, I hope Dr. Damon didn’t cheat on Heavenly, but if he did, I’m more concerned with how Bravo presents it on the show. I would hate to see this show, Married to Medicine, which is supposed to be about intelligent Black men & women in the medical community, turn into a show about husbands cheating on their wives! 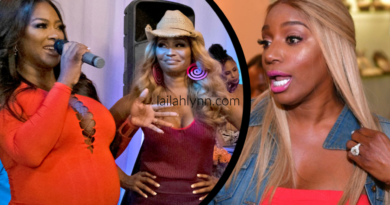 Already Curtis has had an affair on the show, Dr. G has been exposed for having an affair, Mariah has admitted that Dr. Aydin cheated on her, and Cecil has had an emotional affair with another woman IN him and his wife’s home. 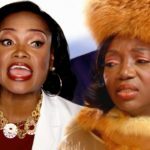 So I hope if Dr. Damon did cheat on Dr. Heavenly, that it’s not exposed in an ugly ruthless way. If Dr. Heavenly can be as humble as Mariah was when Mariah shared with Dr. Jackie that Dr. Aydin cheated on her in the past, then I’ll be good with that. But leave a comment and let me know what you think about this. Do you want Mariah to expose the receipts she has? 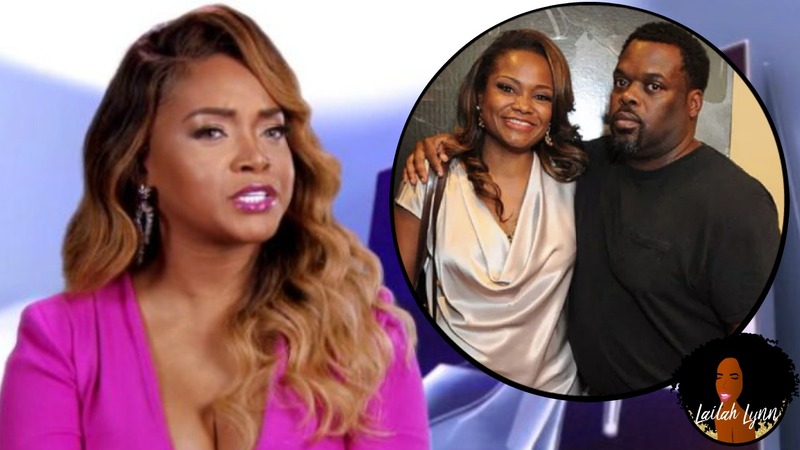 And do you think Dr. Heavenly would ever admit to her husband cheating on her? Leaked Lawsuit Reveals Mariah’s Sister Lake Sued Dr. Simone For Almost Killing Her! ← Viral Fan Theory Claims Kim Kardashian Is The “KiKi” That Drake Rapped About!